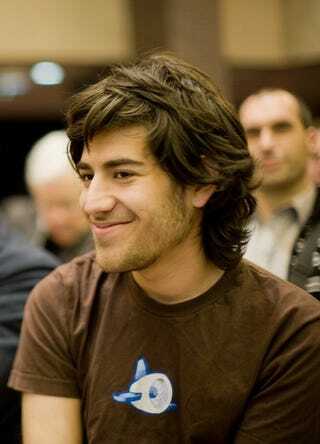 Aaron Swartz, a 24-year-old programmer and former Reddit employee, has been indicted on charges of stealing 4 million documents from MIT and JSTOR. He's accused of breaking into a restricted area of MIT to access MIT's computer network. According to the NY Times, the charges were filed by United States Attorney for the District of Massachusetts Carmen M. Ortiz and could result in 35 years of prison time and a $1 million fine. Ortiz said that Swartz has broke into a computer wiring closet in a restricted area of MIT to tap into the MIT computer network and stole over 4 million documents from JSTOR, an archive of academic papers. He is absolutely not a founding member. We acquired his company in December, 6 months after Steve and I launched reddit.